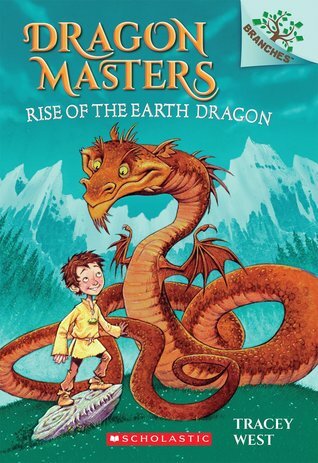 Rise of the Earth Dragon is a delightful early chapter book for the dragon-loving young reader. Drakes makes an appealing main character, especially his appreciation for worms. It's a shock for him to discover that he's been chosen as a Dragon Master, especially since King Roland's intentions don't seem to be good ones. But he is thrilled to meet his dragon even if he is very unsure about how to communicate with the Earth Dragon he names Worm. 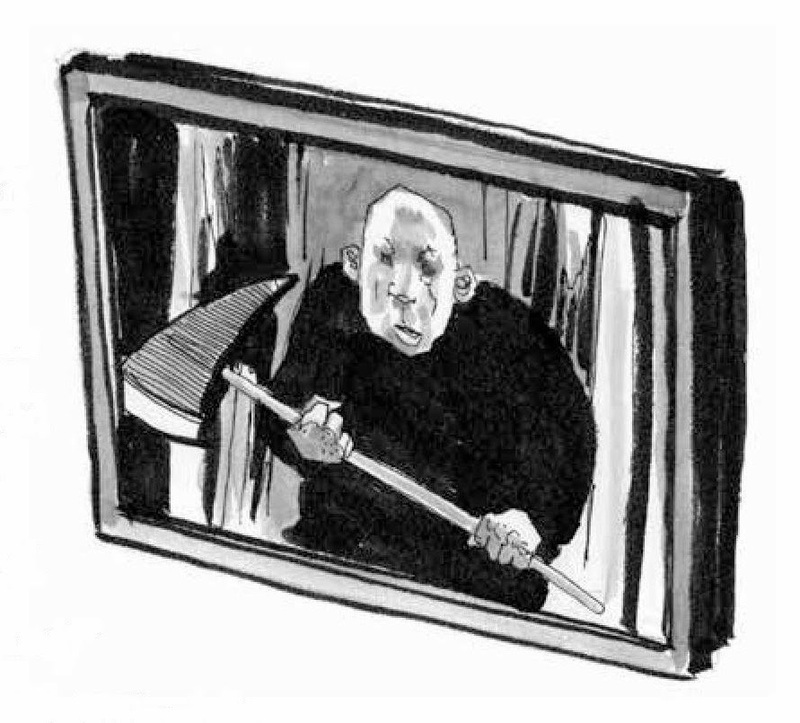 The black and white illustrations break up the text nicely making the book more appealing for reluctant readers. Those same illustrations offer a fun take on the whole dragon thing. I especially appreciate the length, at barely 90 pages the book works well for kids who want to read fantasy but are not ready for the longer ones. Highly recommended for most libraries, class, or homes. I have to admit that for almost half of this book I wasn't sure if I liked the book or not. The three main characters spent much of the time arguing and the leaving home in the middle of the night struck me as really dangerous for three twelve-year-olds. 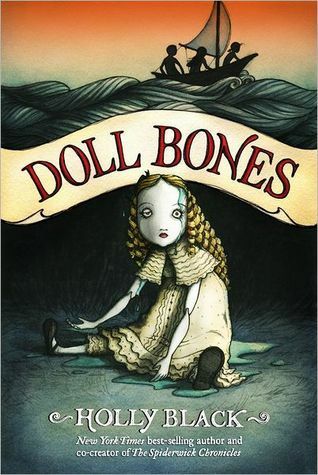 But the mystery of the doll and whether the ghost was real kept me reading and by the end the story had won me over. It was interesting the way the stories intertwined. The subplots involving growing up, playacting, and adventuring mixed nicely with the 'ghost' story that set Zach,, Poppy, and Alice out on their quest in the first place. It reminded me that growing up can be a painful process as children deal with changes in friendships, physical changes, and relationships with parents. The issue that I had serious concerns about was the children's leaving home to go on their quest. As a teacher librarian the thought of three children on their own scares me more than a little. I did appreciate the librarian in the story and how she dealt with the kids. I also appreciated the fact that the children slowly realized that discomfort is a common element in many adventures. And boy do the children experience discomfort. 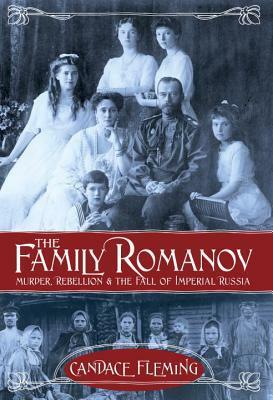 Here is the tumultuous, heartrending, true story of the Romanovs—at once an intimate portrait of Russia's last royal family and a gripping account of its undoing. Using captivating photos and compelling first person accounts, award-winning author Candace Fleming (Amelia Lost;The Lincolns) deftly maneuvers between the imperial family’s extravagant lives and the plight of Russia's poor masses, making this an utterly mesmerizing read as well as a perfect resource for meeting Common Core standards. I've heard about the murder of the Romanov's, I mean, who hasn't, what with the Disney movie Anastasia and everything. But there was a lot I didn't know. This book has filled in a lot of the blanks. There will always be things that aren't known, but Fleming does an amazing job of making the events leading up to and including the murder of the Romanov's quite understandable. The book is divided up into chapters that address both the Romanov's life before and during the revolution but also takes a look at some of the people behind the revolution, including Vladimir Lenin, who became the first face of Communist Russia (Soviet Union). It's not a particularly happy story as it involves great suffering, poor leadership, and a great deal of ignorance. Tsar Nicholas II contributed a great deal to the events that lead up to the revolution by making very poor decisions about how to handle his people's discontent. Unfortunately choosing to follow in his father's brutal steps, Nicholas shut down the rebellion, but only for a time. Add to that World War I and more suffering and death, and what to the soldiers seemed like an uncaring Tsar only increased the anger and hatred that culminated in the revolution. What I found especially interesting were the descriptions of the chaos that created the opening the Bolsheviks needed. Reading about the last days of the Romanov's was sad, but it was also sad to think about the tens of thousands of others who died during World War I as well as the civil war between the tsar's supporters and the Bolsheviks. It just reminded me that war hurts everyone it touches. Ironically, even Lenin eventually realized that the Bolsheviks communist vision had failed. When Lenin died and Stalin took control, Russia ended up with a government even worse than what they had had under the tsar. A vividly portrayed and eminently readable account of an important and intriguing series of events that we can still learn from today. Highly recommended. I heartily agree with the talk about this title as a possible Newbery winner. Check out other Nonfiction Monday recommendations here. THIS WEEK ON OCTOBER 1st NOMINATIONS OPEN FOR ALL CYBILS CATEGORIES! It's helpful though if you make sure that the books you nominate meet the requirements for the appropriate category. For more information see the Cybils website. 'A publisher in New York asked me to write down what I know about the Greek gods, and I was like, Can we do this anonymously? Because I don't need the Olympians mad at me again. But if it helps you to know your Greek gods, and survive an encounter with them if they ever show up in your face, then I guess writing all this down will be my good deed for the week.' So begins Percy Jackson's Greek Gods, in which the son of Poseidon adds his own magic--and sarcastic asides--to the classics. He explains how the world was created, then gives readers his personal take on a who's who of ancients, from Apollo to Zeus. Percy does not hold back. 'If you like horror shows, blood baths, lying, stealing, backstabbing, and cannibalism, then read on, because it definitely was a Golden Age for all that.' Dramatic full-color illustrations throughout by Caldecott Honoree John Rocco make this volume--a must for home, library, and classroom shelves--as stunning as it is entertaining. While teaching full time, Riordan began writing mystery novels for grownups. His Tres Navarre series went on to win the top three national awards in the mystery genre – the Edgar, the Anthony and the Shamus. Riordan turned to children's fiction when he started The Lightning Thief as a bedtime story for his oldest son. 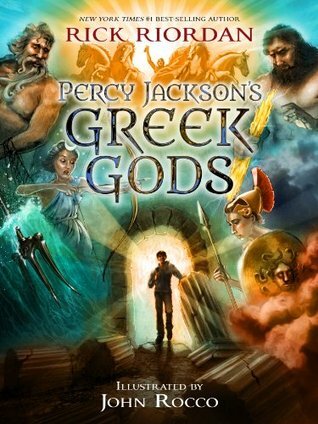 Today over thirty-five million copies of his Percy Jackson, Kane Chronicles, and Heroes of Olympus books are in print in the United States, and rights have been sold into more than 35 countries. Rick is also the author of The 39 Clues: The Maze of Bones, another #1 New York Times bestseller. First off I have to say the book is beautifully put together. 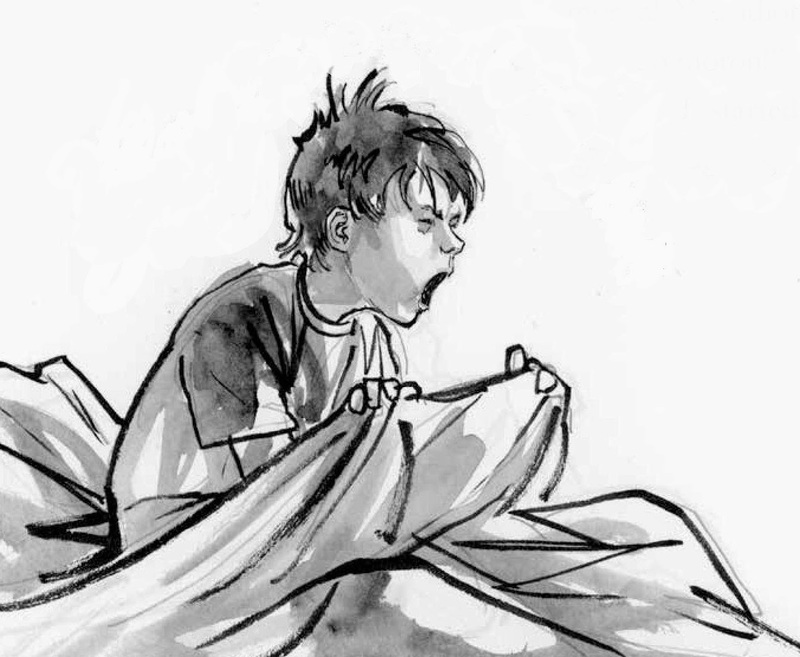 The stories are wonderfully told with Percy's voice coming through loud and clear. The large size of the book makes it a great choice as a gift for those who are really into Greek mythology. Rocco's illustrations are stunning and match the stories very well. The problems I have with the book have nothing to do with the writing or the illustrations or the design of the book. It's been so long since I've read the original Greek myths that I'd forgotten what they were like. These stories are not, in my opinion, appropriate for younger children. The book looks at the twelve main Greek gods: Hestia, Demeter, Persephone, Hera, Hades, Poeidon, Zeus, Athena, Aphrodite, Ares, Hephaestus, Apollo, Artemis, Hermes, and Dionysus. None of these characters are worth admiring, their stories are stories of greed, unfaithfulness, revenge, inappropriate relationships (I mean marrying your sister?!) and other such nastiness. While told in a very entertaining way and "Percy" is careful about referring to certain things like the numerous children born to Zeus and his many 'girlfriends,' the content of the stories makes the book more appropriate for older readers. I appreciated that Percy expresses his distaste for the 'wild' behavior that the gods and goddesses often exhibit and the 'grossness' of some of it. I also never realized that some of these stories just don't make much sense, but I guess these kind of stories aren't meant to make sense, they are about 'gods' that are really nothing more than humans with supernatural powers. The earthquake that followed devastated their neighborhood, collapsing a nearby overpass with Joey and Fiona on one side and Kevin and Dylan on the other. Now Joey and his friends must rescue each other, endure the aftershocks, and find a new way home as the earth cracks beneath their feet. 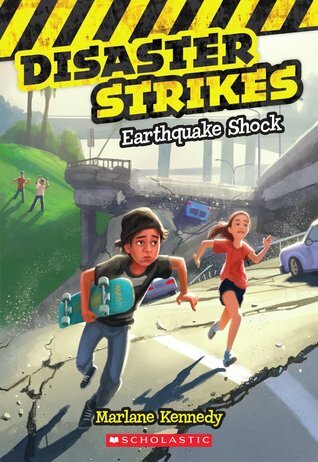 This first book in a new series about surviving natural disasters features four kids making their way home from the local skating park. The four kids get separated when the earthquake causes the overpass they are near to collapse. Joey and Fiona try to find Kevin and Dylan before seeking out what is left of their homes. I found the story simple enough for child readers but detailed enough to feel believable. Readers who enjoy survival stories involving natural disasters are bound to enjoy this series. It's an easy series to read and well done for the chosen audience. How will Charlie be able to enjoy Halloween this year? A two-time Grammy award-winning artist and recipient of a Lifetime Achievement Award from the RI Council for the Humanities, Bill uses song and story to paint a vibrant and hilarious picture of growing up, schooling and family life. His work spans the generation gap, reminds us of our common humanity and challenges us to be our very best selves. A prolific author and recording artist, Bill tours nationwide as an author, performing artist and keynote speaker. Charlie is such an appealing character. He feels like such a normal kid (if there's such a thing) who enjoys being with his friends, gets frustrated with his siblings, and wants to enjoy Halloween. But he hates scary movies and he is concerned when the party he and his best friend Tommy have been invited to will be showing really scary movies. But he loves the idea of going trick or treating without his little sister, Mabel, so he agrees to let his brother 'de-scarify' him. Unfortunately, his brother's stories just freak him out worse. And his costume plans don't seem to be coming together too well either. This is a fun series that children who enjoy the Judy Moody and Stink stories, or Ellray Jakes, or Horrible Harry, or Clementine will be very likely to enjoy. This one is bound to be especially popular because it deals with Halloween. 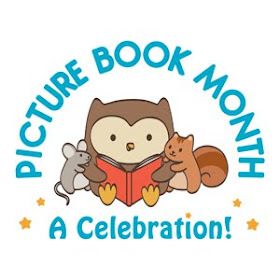 *Illustrations are provided courtesy of Peachtree Publishing. 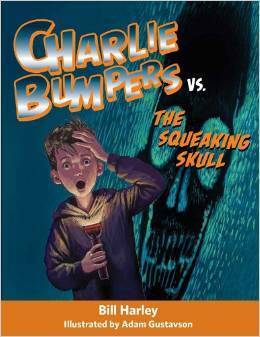 Thanks to the publisher I have one copy of Charlie Bumpers to give away. Find Peachtree's Fall 2014 catalog here. 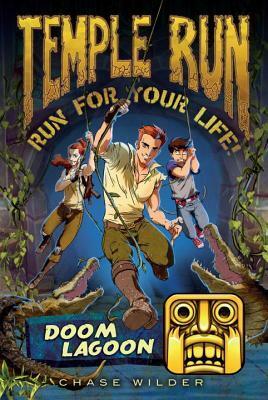 Temple Run, the fastest-growing mobile game app, is taking its biggest leap yet, jumping into children's books! You're a lucky kid--for your birthday, you're having a destination party: a campout and scavenger hunt in an exotic locale. Depending on the choices you make, you will reach safety in time to enjoy your party, or you will be kidnapped and held for ransom, buying Guy and Scarlett time to make off with the treasure. You decide! You are an intern and will be accompanying the curator of an antiquities museum during school vacation on a dive to a newly discovered historic shipwreck. Depending on the choices you make, you will either be stranded at sea, drown, explore the wreck, or discover buried treasure. You decide! Temple Run Downloaded is a cool, fast, addictive mobile game, and fans can relive the excitement with this activity book shaped like a tablet. Race down ancient temple walls, along sheer cliffs, and avoid evil monkeys as you challenge your brain to solve these fun puzzles. Temple Run Downloaded includes mazes, brain teasers, puzzles, 4 gatefold pages, and 4 sticker pages, with exclusive info about this favorite game and characters. 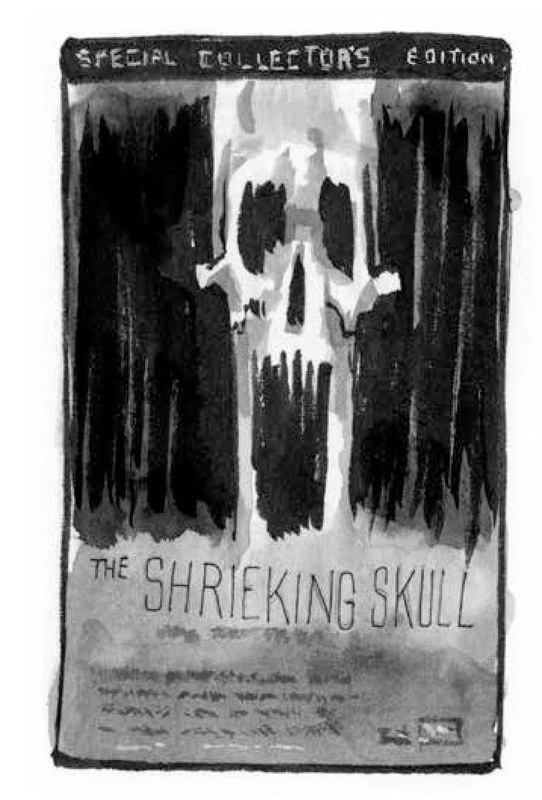 Full color illustrations throughout. Thanks to the publisher I have all three books to giveaway to one person. An 11-year-old boy living in Memphis in 1959 throws the meanest fastball in town, but talking is a whole different ball game. He can barely say a word without stuttering, not even his own name. So when he takes over his best friend's paper route for the month of July, he knows he'll be forced to communicate with the different customers, including a housewife who drinks too much and a retired merchant marine who seems to know just about everything. 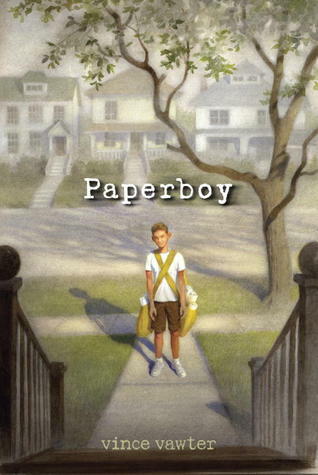 The paper route poses challenges, but it's a run-in with the neighborhood junkman, a bully and thief, that stirs up real trouble--and puts the boy's life, as well as that of his family's devoted housekeeper, in danger. 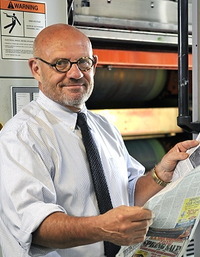 Vince Vawter, a native of Memphis, retired after a 40-year career in newspapers, most recently as the president and publisher of the Evansville (Ind.) Courier & Press. In 2002-2003 he was president of the board of directors of the Hoosier State Press Association. He previously served as managing editor of The Knoxville (Tenn.) News Sentinel and news editor of the now-defunct Memphis Press-Scimitar. He lives with his wife in Louisville, Tenn., on a small farm in the foothills of the Great Smoky Mountains. It took me a few chapters to get into this book, but once I did, I zipped through it, wanting to know what would happen to our stuttering hero. The lack of quotation marks through me off a little bit, but once I got used to it I was okay with it. However, I'm not sure younger readers will be able to adjust as easily. This book I think is more appropriate for older middle grade readers, 5th grade and up would be my recommendation. Of course since a lot of younger readers don't really like historical fiction also makes a difference. It's really too bad because there is so much great historical fiction available. I loved the fact that the hero had a disability that isn't often talked about in children's literature. The only other book I can recall reading recently that included stuttering is The Boy and a Jaguar by Alan Rabinowitz about his own struggles with stuttering. The relationships in the book were one of the things that I found most fascinating, especially between the main character (whose name we don't learn until the end because he has a hard time pronouncing his own name) and Mam, his family's black maid. It was interesting to watch as the boy's eyes slowly open in regard to the way blacks are treated in 1959 Memphis and his dislike of it. He loves Mam and doesn't appreciate the way she's treated. And yet it isn't the main part of the story. 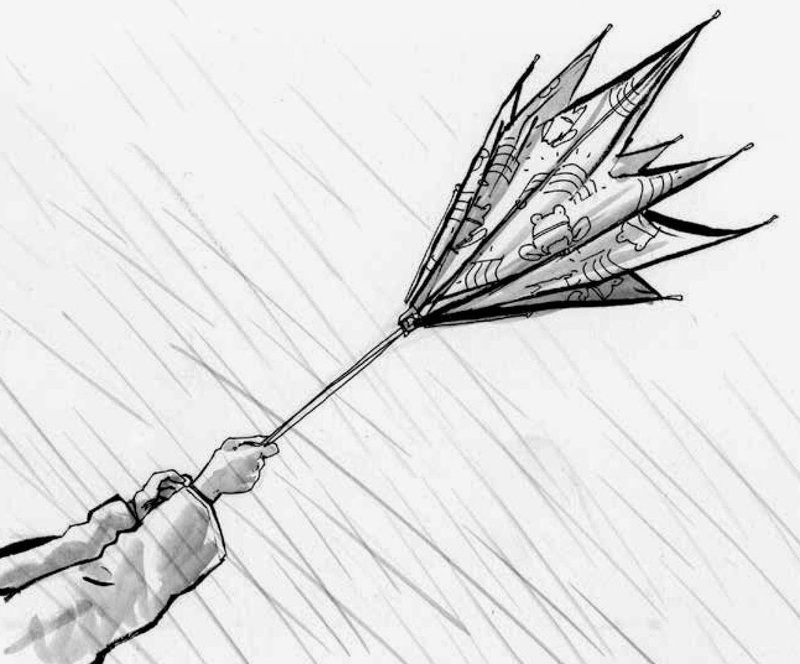 The story revolves around the boy's taking over his friend's paper route for a month. The paper route doesn't worry him, it's the having to talk to people to collect the fees that worries him. What makes the story especially interesting is his interactions with the people he runs into. The boy's interactions with an alcoholic lady who he finds beautiful, but sad, Mr. Spiro whose house is full of books, and especially his interactions with Ara T. the local junkman all stretch the boy's abilities to communicate. I enjoyed watching him grow up and develop his courage. There are a few things though that I think make it more appropriate for older middle grade. A few examples of bad language and the interactions with the alcoholic lady top that list, but the boy also finds out that his father isn't his biological father and wrestles with that somewhat. There isn't anything really bad but the book works better for more mature young readers. T.A. Barron's ATLANTIS RISING being released in paperback! With new prequel about the villain! NEW YORK, NY, September 10, 2014 – Atlantis Rising by T.A. Barron, the first book in an exciting new trilogy about the origin of the legendary isle of Atlantis that Publishers Weekly calls “inventive and entertaining,” will be released in paperback on September 25, 2014. Aimed at readers ages 9 and up, Atlantis Rising inspires readers to examine real-life issues of bravery, honesty, loyalty, and conservation—themes T.A. Barron consistently explores in his work. 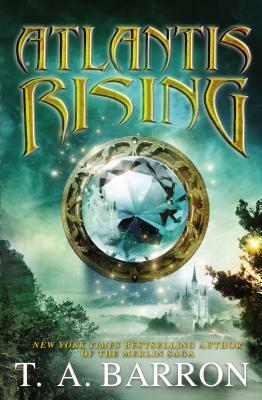 Atlantis Rising follows the adventure of a young boy, Promi, and his friend, Atlanta, in their quest to save their magical homeland from ruin. The two young characters battle Grukarr, the evil Deputy High Priest, and set off a chain of events that lead to the creation of Atlantis. The scoundrel Grukarr, however, takes center stage in the simultaneously released companion story Never Again: The Origin of Grukarr. Ever wonder what makes a villain so despicable? Fans will discover how Grukarr lost his humanity and what event spurred him to become the sinister villain that Promi battles in order to save the magical world of Ellegandia. The e-book will be available for free at www.tabarron.com leading up to the release and appears in print for the first time in the paperback edition. WILD & WONDERFUL WEDNESDAY: Weather!